The young woman in this case has a troubled background, including childhood sexual abuse. 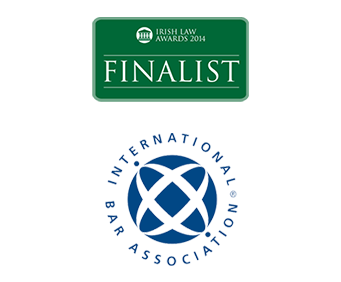 She sought help from HSE mental health services and was treated by a consultant psychiatrist between 2006 and 2012. She first complained to the HSE in January 2013, listing 27 “incidents” that had occurred between herself, and the psychiatrist and asking whether these represented a breach of professional standards on his part. She said the first incident dated from March 2007 and involved the psychiatrist telling her during a treatment session that he was thinking of her while in bed with his partner. In 2009, it is alleged the psychiatrist began holding her hand and, later, scratching it “in a manner similar to a description given by me to him of incidents which had previously occurred when I was sexually abused as a child”. Her list of incidents included a number of shared meals, including two birthday lunches, and the exchange of Christmas and birthday gifts. She said the psychiatrist told her “he loved me” and, in 2010, he would hold her hands and stroke her hair. The psychiatrist “told me that he loved me first as a therapist, then as a father”, in 2011, she said. In the last incident, in September 2012, she said the psychiatrist sent her a text saying he could not keep a dinner appointment with her “because of the professional boundaries we had previously discussed”. As a result, she felt extremely upset, stopped eating and tried to harm herself. A preliminary screening of the complaint indicated an abusive interaction could have occurred and a formal, external investigation was warranted. The psychiatrist was contacted about the complaint in February 2013, and asked for a preliminary response. He denied the allegations. The woman wrote again to the HSE in April 2013, saying she had not heard anything in relation to the complaint. She was told the HSE was “in the process of setting up a group” to investigate it. A year later, in April 2014, the woman engaged solicitors Burns Nowlan who wrote to the HSE saying their client had never been contacted by any HSE official about the investigation. 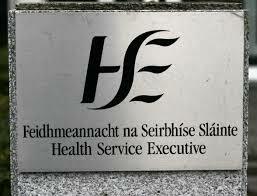 The HSE drew up the terms of reference for an investigation under its Trust in Care policy. This envisaged the completion of the investigation within four weeks. Further delays ensued, prompting the HSE official who carried out the preliminary screening, and who had raised the issue several times in the interim, to complain to colleagues in July 2014 about the “inordinate” delay in the investigation. In August 2014, the woman’s solicitors were told an initial screening had been completed and a formal investigation “is now commencing” site vente viagra. However, the HSE was unable to find a consultant psychiatrist from outside the area to assist with the investigation and it was decided to seek one abroad. Eventually, a retired Scottish psychiatrist and a senior HSE manager were appointed to undertake the investigation. Their report found the woman was treated by the psychiatrist using “unorthodox therapy” that was not clearly documented in case records. The psychiatrist appeared to genuinely care for his patient, who made progress under treatment, the report found. The investigation found the vast majority of the 27 incidents described by the woman had actually occurred; this was accepted too by the psychiatrist. The psychiatrist was “adamant” he did not cross professional boundaries with his patient; the report found that by disclosing information to her, he risked a “blurring” of the boundary between a professional and personal relationship. His use of mobile phone contact, the giving and receiving of cards and gifts and the sharing of meals out represented a crossing of professional boundaries, it said. The report found the psychiatrist clearly crossed therapeutic boundaries by holding his patient’s hand on frequent occasions and gave her occasional strokes and hugs “intended as a means of comfort”. The report recommended the HSE apologise to the woman and offer her assistance. Initially, the HSE apologised only for the delay in having her complaint addressed. This prompted a further complaint from her solicitors and a second apology from the HSE in line with that recommended in the report.